Most college students from the provinces and even in nearby cities in the metropolis take advantage of renting rooms near their schools due to proximity and comfort for their studies. Moreover, some working professionals who do the graveyard shift also consider getting hold of a nearby space rental for a more flexible time management. Searching for rooms for rent will no longer give us sweat walking or travelling just to scout for a good place as iBilik Philippines offer and suggest listings posted online in many places in the Philippines. 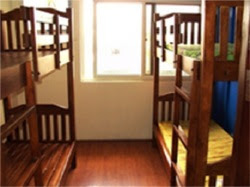 People doing the field work and avid travelers who are looking for a place to stay for a few days can avail of the iBilik Philippines short term room rental. Merely 3 trouble-free steps are needed to be accomplished, that is select the dates and book place first, next is to confirm and pay online then lastly, just print the payment code and check in. If you want to sublease your extra house or apartment, you can have it listed in their system, and then upon getting an approval through their screening process, you can have the chance to get an additional way to earn some extra cash. You do not have to worry if the guest fails to show up, or cancels at the last minute, as you will still be able to receive your payment in full as all bookings are guaranteed in the website. You just have to relax and simply wait for the guest to check in to your place. If ever you’re interested, just follow these 3 easy and simple procedures to rent out your spare space. 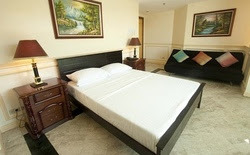 Fast and reliable finds of a room for rent all across the Philippines in just a click of a mouse.